Old friends reunite 25 years later. Home » Blog » Posts » Old friends reunite 25 years later. Yesterday we had a visit from some special friends. Ofa (Right) was one of Operation Open Heart’s first ever patients in 1986. Now 64, she is in good health. “I have 6 children, and 18 grandchildren” she proudly told us. The team in 1986 repaired (not replaced) one of her valves. 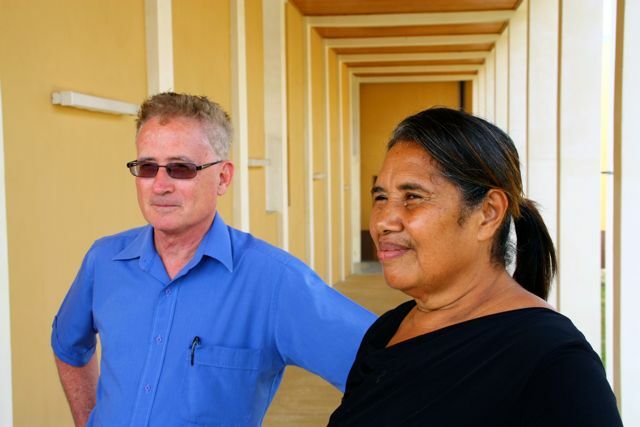 She comes to a clinic every month with the local Tongan doctors who monitor her health. “I went to the USA a few years ago and they told me my health is very good”. 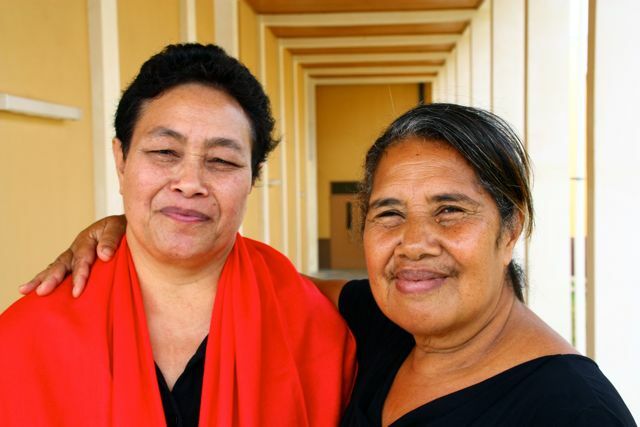 Margaret (Left) received surgery in 1987 on Operation Open Heart’s second trip to Tonga. Now 54, her replaced mitral valve is still going strong. 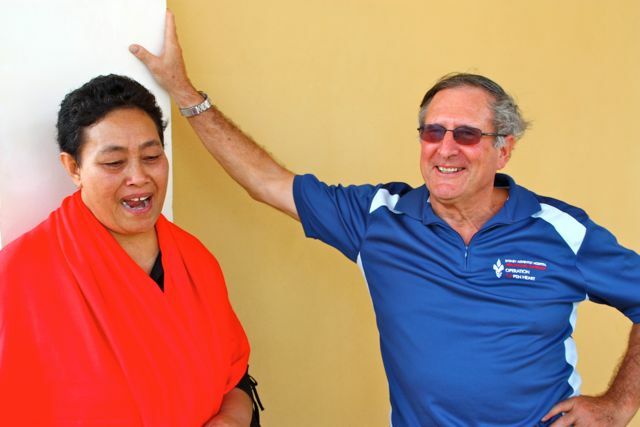 The 1987 trip was the first time implantable valves were used in Tonga. “I had a baby just before my operation in 1987. She is now grown up and working as a nurse. She is happily married to a doctor. 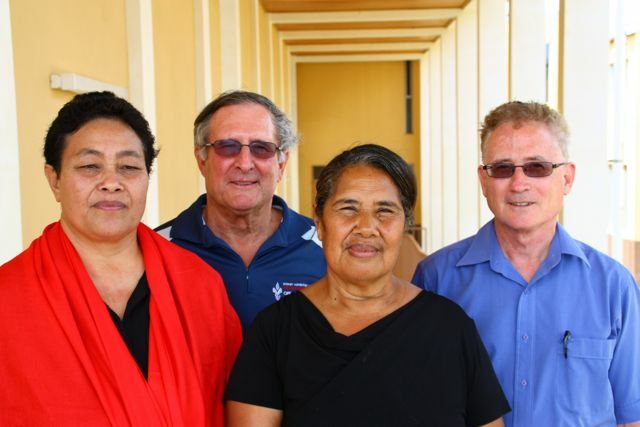 They live and work in Haapai (next cluster of islands north of the Tongan capital). I have three other children and 8 grandchildren”. “I remember that my neighbours were so shocked about the difference when I came home after surgery. They could not believe how much energy I had”. “I am so happy that you keep coming to Tonga to help the people here” Margaret said quite emotional and holding back some tears. Two of the team members in 1986 and 1987 are here again with us this year, George Shortis (Left) and John Wallace (Right). It was a great time of sharing stories and reminiscing about the early trips to Tonga. “Seeing these ladies happy and healthy makes it all worthwhile” John said. It is the 25th year of Operation Open Heart, this impromptu reunion was incredibly memorable.